If you’re trying to get new customers, webinars can be a very effective way to do so, especially if you market to businesses. We’ve seen some companies have a lot of success advertising their free webinars instead of their product to get a lead in the door. Then they can try to convert them at a later date. Here are 10 things you’ll need to remember when you do your first or next webinar. Facebook Invite – Create an event for your fans and invite them to your webinar. Remind them a few days before as well as the day of. Get a Friend – Send email marketing to your customers and ask them if they know someone who would like to attend. Ask them to forward your message to their friends. Be an Expert – Don’t sell yourself or even your company, sell your knowledge and expertise. People want “how-tos” to make their jobs and their lives easier. Then they’ll think of you when they need your solution. Content is King – Make sure your content is up to snuff. Don’t over pack the slides. Too much information is confusing. Timing is Everything – Make sure you time your webinar for maximum attendance. If you have customers in the U.S. you might want to try a time that gets the attention of people from the west coast to the east. At VerticalResponse we’ve found that 10:00am PT works pretty well. Be Prepared – Upoad your presentation well before your webinar and make sure you rehearse! Open your presentation at least 15 minutes before starting so that those who log on early will see you there. Then check in every few minutes to tell them when you’ll be starting. 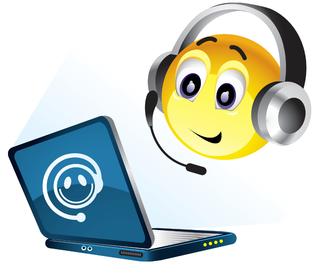 Prominent Call-In #– Put the call in information at the footer of each slide so if someone gets disconnected the number is there. Answer Questions – Be prepared to pick out questions that people type into the software that you use. Sometimes it’s good to have another person in the room with you that can do that for you. Also, sometimes people are timid to ask questions so be prepared with a list of questions you usually get asked by prospects and customers. This way the conversation keeps going. Pay Off Your Promise – Give To-Dos! Action items are a great way to give people something that they can do in their business. Revisit what you told your attendees they’d get and make sure you gave it to them! Follow UP FAST – Send an email with a link to the archived version after the webinar with an offer for your services. After all, you eventually want these people to be customers don’t you? You’re also going to need somewhere to “host” your webinar. I’ve not tried all of these, but they look like interesting webinar technologies to look into. Freebinar – Free up to 150 attendees. It’s ad supported. Fuze is about $50/month for 45 attendees. Dimdim is about $25/month for 50 attendees. Webex is about $49/month for 25 attendees. GoToMeeting is about $99/month for 100 attendees. Each has their own list of bells and whistles of course so check them our for yourself.